What can I expect in worship at MCN? What is worship like at Mennonite Church of Normal? How do people dress for worship on Sundays at MCN? What’s for children on Sunday mornings? What accommodations are available to persons with disabilities? How is singing featured in the worship service? Are visitors expected to give money in the Offering? What is the Fellowship Time following the worship service? Is Christian Education another name for Sunday School? 1. What is worship like at Mennonite Church of Normal? The goal of our Sunday worship is that people will encounter God in order to become more like Jesus Christ. Our Sunday worship services include congregational singing, a Children’s Time story, scripture reading, community prayer, and a sermon. At the end of our worship, we are sent to love and serve the world. 2. How do people dress for worship on Sundays at MCN? Styles of clothing vary widely among participants. Women wear slacks and jeans to church as well as dresses. Likewise, a few men wear suits while others are more comfortable in jeans or khakis and polos. In the summer, you will see some persons in shorts. 3. What’s for children on Sunday mornings? Children are welcome in worship and, when needed, two nurseries provide children from birth through kindergarten a safe, caring and positive environment on Sunday mornings so parents can fully participate in worship and Christian Education. Both nurseries are professionally staffed by the Nanny Agency and ably assisted by volunteers from the congregation. Preschool and elementary-age children are invited each Sunday to hear a story during Children’s Time in the worship hour. We also invite parents and caregivers to help their children find the Bible reading and follow along and to sing hymns along with the congregation. 4. How do I follow what is going on in the service? Each Sunday you are given a bulletin from an usher which contains an informational page for visitors, congregational announcements, the order of worship and information about Christian Education classes. A worship leader guides the congregation through the service. A song leader directs congregational singing, while an organ or piano accompany the singing. 5. What accommodations are available to persons with disabilities? Our ground-level worship space is wheel-chair accessible. We provide personal audio amplifiers for those with hearing difficulties. Large-print hymnals are available for those with sight-impairment. 6. How is singing featured in the worship service? Singing is a long-standing Mennonite tradition and in many congregations. Most of our singing is accompanied by an organ or piano. Occasionally we sing a cappella (without instruments) or with guitars. With congregational singing forming such an integral part of worship, most Mennonite churches use a song leader to lead singing, which is different from churches where the congregation follows the lead of an instrument or a praise band. 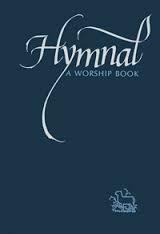 Our primary book of worship songs is Hymnal: A Worship Book , sometimes referred to as the blue hymnal. MCN also uses a two-part supplement series which gives particular attention to the gifts of the worldwide church and to the variety of religious experience within our de-nomination. 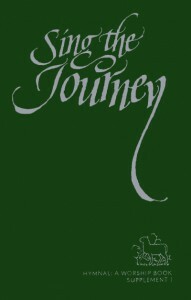 Sing the Journey (“the green book”) explores the life of the Church and its mission in the world, corresponding to the season between Pentecost and Advent. 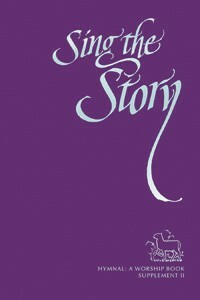 Sing the Story (“the purple book”) uses the seasons of the church year from Advent to Pentecost to tell the story of the life, ministry, death, resurrection and reign of Jesus Christ. 7. Are visitors expected to give money in the Offering? No, visitors are not expected to participate in the Offering. Regular attenders are asked to discern for themselves what portion of their income they will happily give to God for use by the church. The yearly spending plan of the congregation is supported through the regular donation of monetary gifts, called tithing, by members of the congregation. Tithing is a symbol of each member’s commitment to the mission which God has for our church. 8. What is the Fellowship Time following the worship service? We intentionally set aside space and time for opportunity to visit and reconnect with each other every Sunday morning. Coffee and snacks are available for adults in our fellowship area behind the atrim wall between Worship and Christian Education. Children and Youth classes serve snacks in the classrooms. 9. Is Christian Education Hour another name for Sunday School? Yes, Christian Education used to be called Sunday School. We believe that we are all on a lifelong journey of spiritual growth and we emphasize study of the Bible together. We strongly encourage each person to participate in one of the classes that meet each Sunday morning after worship. The children meet from 10:45AM -11:45PM. Adults meet from 11:00AM -12:00PM. Adult classes meet on a quarterly basis, and are listed in the bulletin.